Great Western Valve, Inc. is excited to announce the opening of a new repair shop in Corpus Christi, TX. 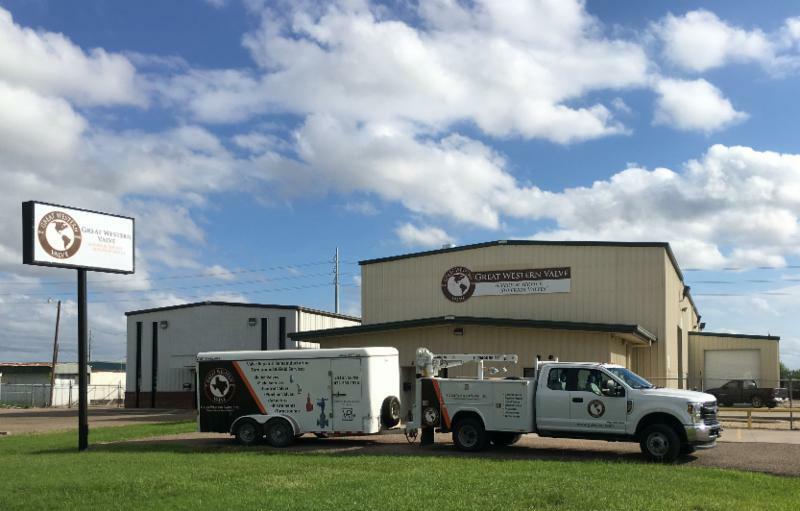 The Corpus Christi service center will service and support all of the company's primary service lines including control, pipeline and pressure relief valves as well as electric actuation, instrumentation and field service. The company began work on the facility in late 2018 and the new service center is now fully operational. It is located in the heart of Corpus Christi’s industrial service center, 6415 Leopard Street just off I-37 and Corn Products Road. Industry veterans and Corpus Christi area residents Arturo (Art) Gatica and Mark Lyons will lead the business and customer relationships. Art is the Branch Manager and Mark Lyons has joined the team as Account Manager for the Corpus Christi and south Texas area. Both managers have extensive experience servicing the local market. "I have serviced the Corpus Christi market for over 25 years and have seen the growing need for a comprehensive and responsive independent valve service center", said Mark Lyons, Great Western Valve Account Manager. “In the past, Great Western Valve has done a fantastic job servicing Corpus Christi’s market from its other locations, and I am excited we are now local and equipped to help our customers". Great Western Valve has experienced significant growth in the last few years and now operates from a total of eight locations in Texas and one in Oklahoma City, Oklahoma. The Corpus Christi shop is fully equipped with overhead rail crane, teardown, machining, assembly, and test areas. “I have worked in valve services for over 30 years and am delighted to offer customers our comprehensive services and a first-class local shop”, said Art Gatica, Branch Manager. “We look forward to working with our customers and hosting them for a shop tour anytime”. Great Western Valve, Inc. is an API Spec Q1, and VR Stamp National Board of Boiler and Pressure Vessel Inspector certified company who services the refining, petrochemical, pipeline, oil & gas, power generation, and pulp & paper industries and specializes in control, pipeline, and relief valves as well as actuators, instruments, and positioners. The company services all makes and models of automated control valves, pipeline block and bleed isolation valves, all triple offset seat butterfly valves, gate, globe, and check valves, electric actuators, all brands of relief valves, tank vents, and much more. The company also provides field service and differentiates itself by providing quality workmanship, exceptional customer service, and flexible delivery times that are often far shorter than OEMs and other valve companies.